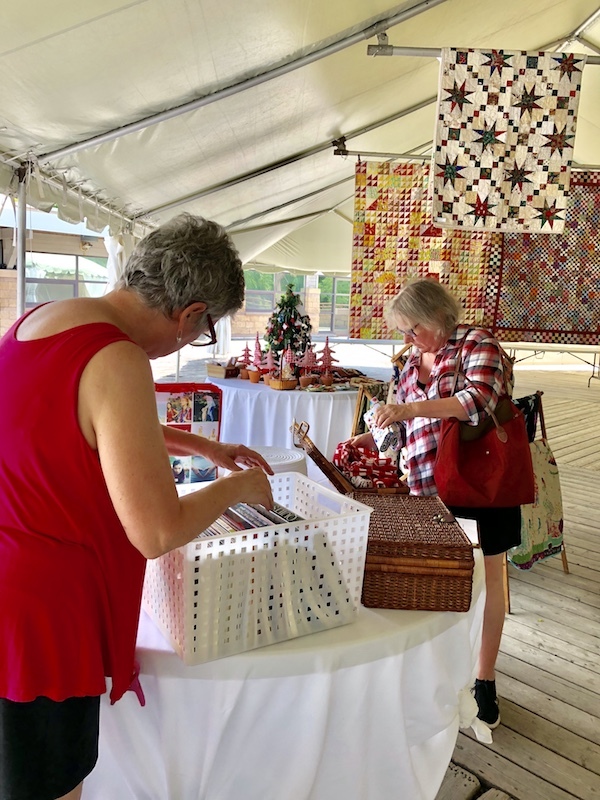 Perfect Weekend for a Quilt show! Wow, you couldn’t ask for better weather for an outdoor quilt show! The quilts have arrived- over 300 of them! and the weather forecast is perfect. Lots to see and do- and buy! Be sure to check out the Shop ‘Round the Corner and our vendor area. Two food trucks plus the ice cream truck and a water fountain near the vendor area, so plan to be there all day! 2 Responses to Perfect Weekend for a Quilt show! I could not find an address to see how far your outside quilt show was. My husband and I were up for a ride. Black Creek Pioneer village is at Jane And Steeles in Toronto: actually 1000 Murray Ross Parkway.